Sweden’s preparations for Euro 2012 have been dealt a blow by the news that Sebastian Larsson will be out for the remainder of the club season. The Sunderland midfielder has undergone hernia surgery and will now miss the Black Cats’ final three games of the Premier League campaign against Bolton, Fulham and Manchester United. However, the good news for Sweden is that Larsson remains optimistic of being fit to take his place in boss Erik Hamren’s squad for this summer’s showpiece event in Poland and Ukraine. “I am extremely grateful to the club supporting me and giving me this opportunity to have the operation immediately,” Larsson told Sunderland’s official website, safc.com. 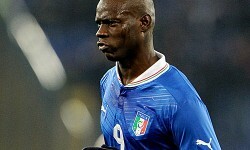 “This means the conditions to be prepared for Euro 2012 are much better than if I had to wait until the end of the season. Sweden will certainly need to be able to call upon the talented 26-year-old – not least for his famed delivery from set-pieces – as they battle to make it out of a tough group featuring England, France and co-hosts Ukraine. Larsson and company are rated as 37/20 shots to escape Group D and 11/2 to finish in top spot, while they can be backed at a lengthy 50/1 to go all the way and win the trophy. Since making his debut for ‘Blagult’ against Turkey in February 2008, Larsson has won 39 caps, scoring five goals.